Home › Accessibility › What’s new in iOS 11: Standout features and enhancements to accessibility. If you use Apple products and haven’t been living under a rock, you’ll no doubt have heard of the updates from Apple Park over the last few weeks. Alongside the iPhone 8, 8 Plus and X came the public release of iOS 11, the latest version of their mobile operating system. Having spent some time getting to grips with the new OS I thought I’d share my top picks of the new features. I can’t possibly cover everything that’s new here, if you want a full run down, check out this very comprehensive article from Ars Technica. For a brief look at the accessibility updates check out this page on iMore. 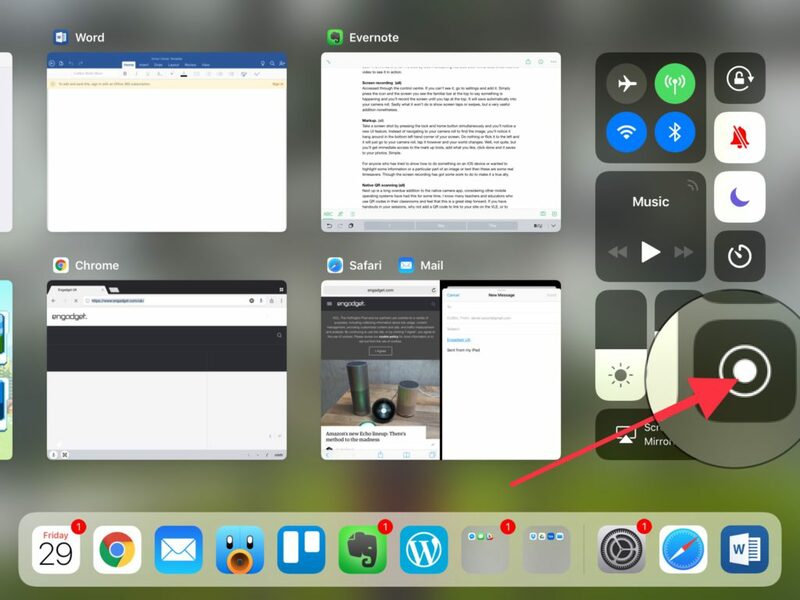 If you’re an iPad user, the task bar is probably the first thing you’ll notice. Aside from an aesthetic update you’ll notice a divider to the right, recently used apps will sit on the right and your docked apps towards the left. The bigger changes start to show as you try and access the control centre. When in an app and you swipe up you don’t get the control centre, but the task bar instead. This is what will help you with multitasking (more on that next). 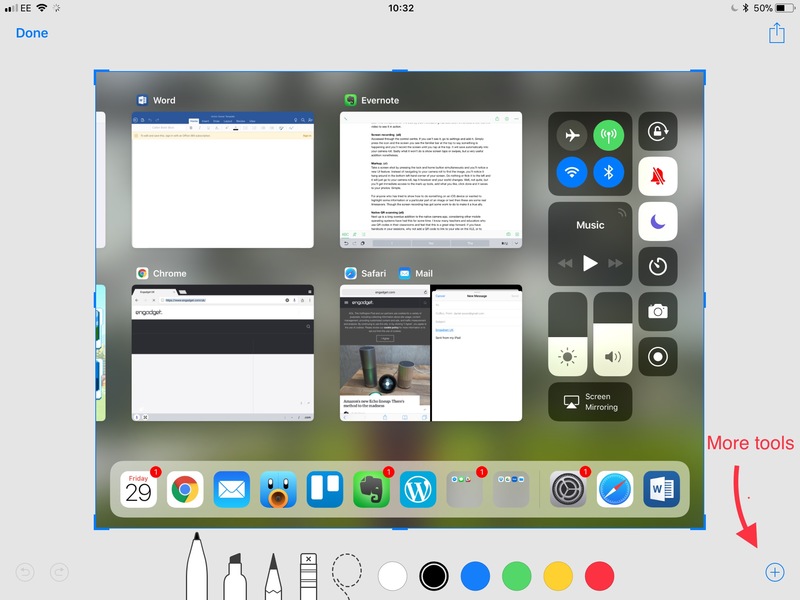 To get the control centre on the iPad, you just keep swiping up. There are some fantastic ways in which you can work across apps and copy and paste information. Take photos for example. All you have to do is hold down on one, move it slightly, then tap on more images with your other hand to add to the deck collected under your finger. I can then open up a new app, say, mail and still holding the photos under my finger drag them into a new message. Bingo, all added as attachments. The same applies for moving apps about on the home screens. Tap and hold for your wobble, then add apps to your stack and move where you want. Try taking a URL from Safari and dragging it into a Word doc. This will save time. This functionality has led to a new breed of apps, known as ‘shelf apps’. Great for gathering research and other types of info. Check out these examples. Accessed through the control centre. If you can’t see it, go to settings and add it. Simply press the icon and the screen you see the familiar bar at the top to say something is happening and you’ll record the screen until you tap at the top. It will save automatically into your camera roll. Sadly what it won’t do is show screen taps or swipes, but a very useful addition nonetheless. Take a screenshot by pressing the lock and home button simultaneously and you’ll notice a new UI feature. Instead of navigating to your camera roll to find the image, you’ll notice it hang around in the bottom left hand corner of your screen. Do nothing or flick it to the left and it will just go to your camera roll, tap it however and your world changes. Well, not quite, but you’ll get immediate access to the mark up tools, add what you like, click done and it saves to your photos. Simple. Next up is a long overdue addition to the native camera app, considering other mobile operating systems have had this for some time. I know many teachers and educators who use QR codes in their classrooms and feel that this is a great step forward. If you have handouts in your sessions, why not add a QR code to link to your site on the VLE, or to further resources & videos. No, before you ask this will not allow you have a manageable local storage solution. 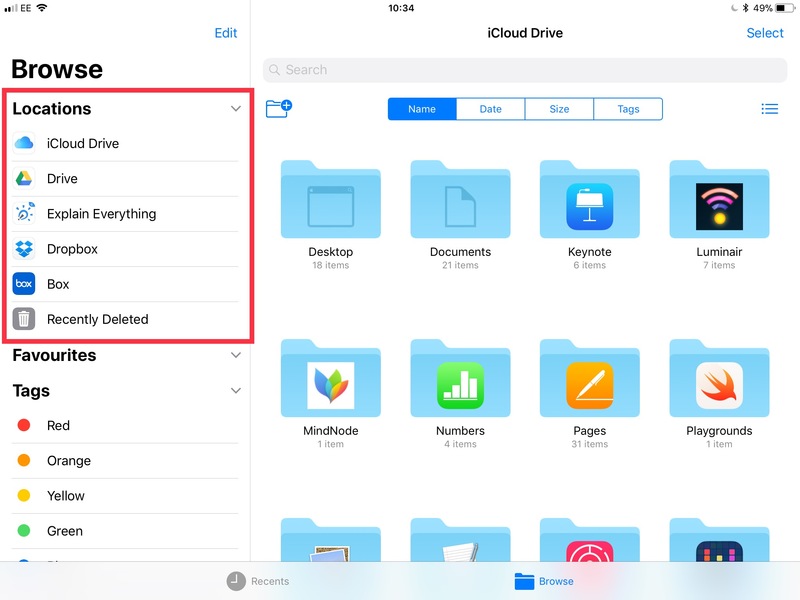 What it does do is gather in one place all you cloud storage accounts; iCloud, Drive, Box and so on. This is useful for those of us who use more than one service, making it easier to manage work and personal files independently across multiple platforms. As an iCloud user, you can also access all your desktop files from your Mac. iOS has for some time now, had very good off the shelf accessibility settings. The key takeaways in iOS 11 are enhanced voice over descriptions for images, Smart Invert colours and enhancements to dynamic text size. An enhanced version of the classic invert. This option only inverts areas of the screen it feels are necessary rather than everything. For example the white background and black text of emails and messages would be inverted. Whereas the images contained therein would display properly. Same goes for app icons. Classic is still there for those that need it, this just adds more options for users of inverted colours. As you can see in the video below. The icons on the left stay as they should until you activate Classic Invert. Using the camera you can take a photo of a scene or something containing text and the VoiceOver setting will read aloud any text and describe the scene to you. Including it’s brightness. I’ve tried this a little and whilst not perfect, it’s another tool to use. iOS 11 introduces a much better approach to dynamic text sizing, adding larger text options as well as better support across third party apps. Despite the annual cycle of upgrade to iOS being a fairly predictable series of events. It’s fair to say that these are some significant updates to an already very slick mobile operating system. iPad users are no doubt the big winners in this round, the new multitasking and drag and drop features are immediately useful. As is the new on screen keyboard, once you’ve got the hang of it. If you need help getting started or want some advice on using mobile devices for your study or in the classroom, then please get in touch at the usual places. We’ll be happy to help. ‹ Fun online quizzing with Kahoot! Have upgraded to iOS11 only to find that Apps will no longer update! Trying to find a way round this. Have read about other glitches so I wish I had waited for the next update. iOS 11.0.1 is has been released and may help you. Some apps are not compatible with iOS 11. You can find more information here: https://www.theverge.com/2017/9/19/16332562/ios-11-32-64-bit-apps-update-wont-work-apple-iphone Alternatively I would suggest contacting Apple support.